Christmas is the time when you can get away with “cheesy”, whether it’s decor or clothing. It’s the one time of the year you can dress outlandishly and no one will think anything about it. 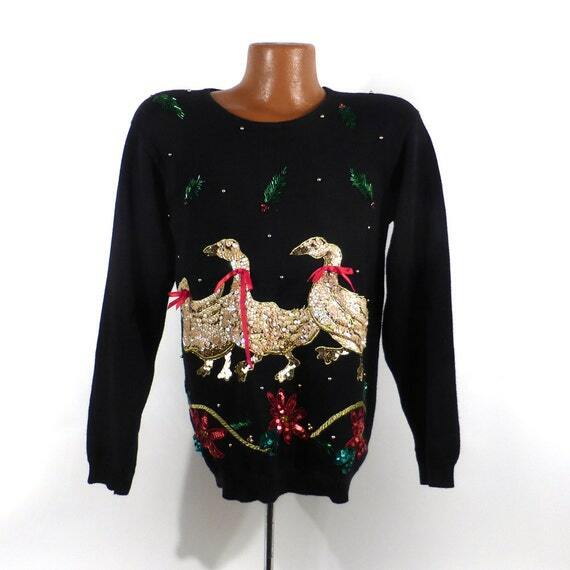 These women’s ugly Christmas sweaters with sequins are extra cheesy with the addition of sequins! Sequins make the sweaters more fun and a bit flashy if you’re the type that likes to stand out in a crowd. I’ve scoured the internet so you don’t have to, and I’ve found the best available sweaters with sequins. 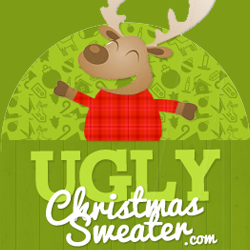 Sometimes elegant, sometimes extremely tacky, but always fun, you’ll enjoy wearing one of these sweaters to an ugly sweater party or to other events during the holiday season. Most of these sweaters are priced very well and won’t break the holiday budget. 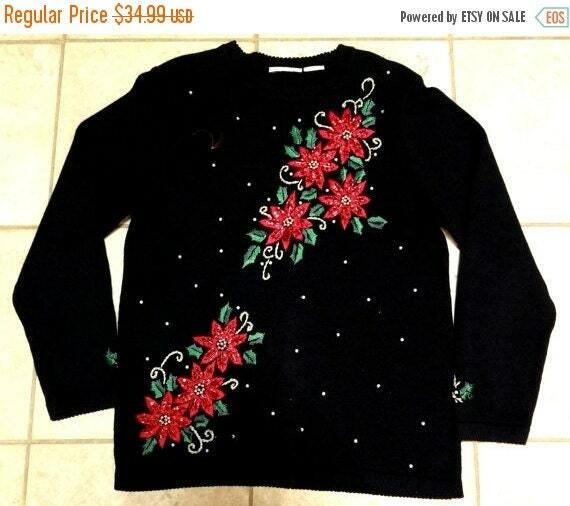 Some of the best sequined sweaters are from Etsy where everything is handmade or vintage. They are generally even more tacky or they are especially charming. Another positive note is that they are virtually one of a kind. Chances are you will not see anyone else with the same sweater. 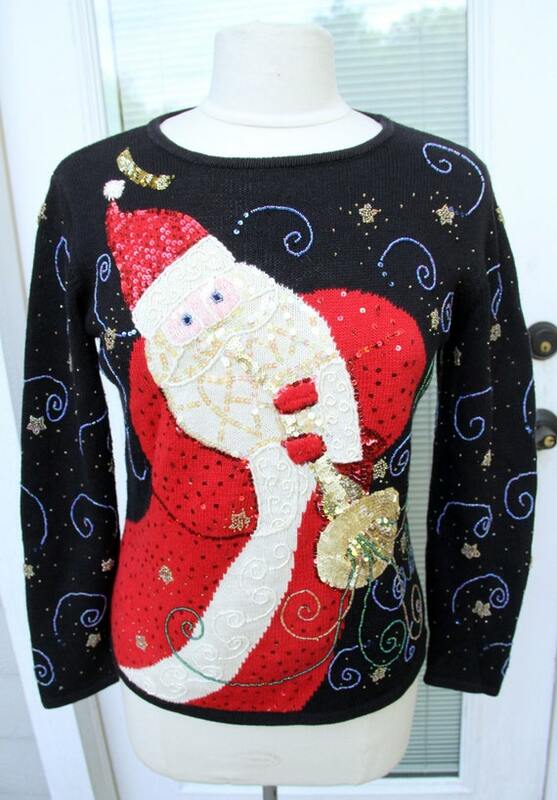 Etsy is a great place to find ugly Christmas sweaters of all kinds! 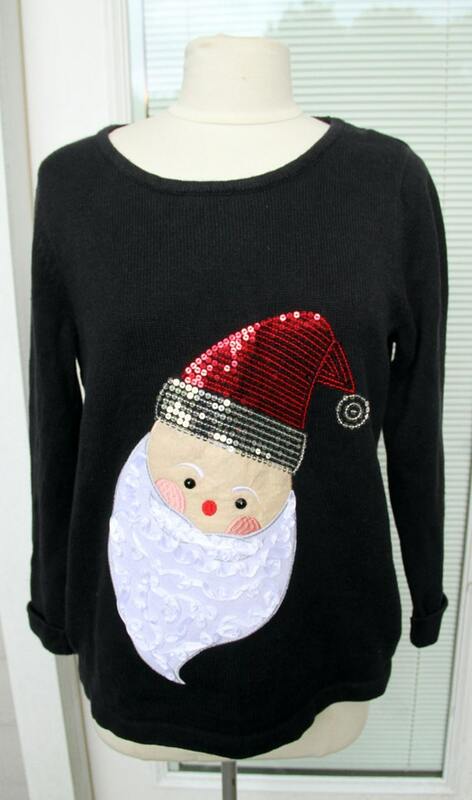 There are a few women’s ugly Christmas sweaters with sequins from Pink Queen which are also different from those you see everywhere else, although not handmade or vintage. 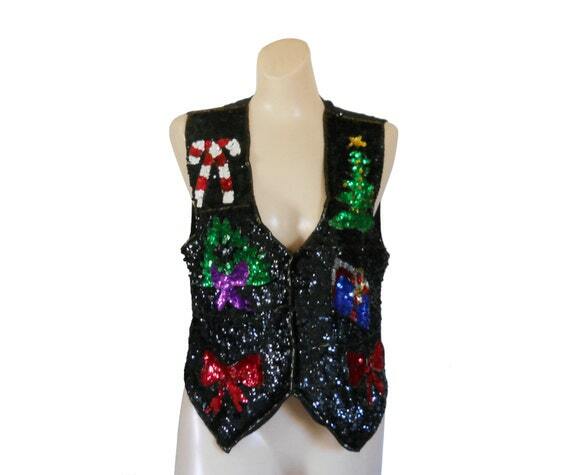 Whether its a big red sequin bow, a green sequin Christmas tree, or another one of the sequin designs, you’re sure to find one to suit your needs for the holiday season. Some of these are actually tasteful with the judicious use of sequins for accents, but ugly sweaters are all about tacky so this is your chance to go as tacky as you like! If you’re the one giving the party, be sure to choose some great invitations. You want them to be eye catching so the recipient will actually read them and not just toss them in the trash. That’s the first thing. Next you want to give your prospective guests all the information they need. You want them to know exactly what to expect so they’ll be comfortable. Is it a BYOB? Tell them that on the invitation. Are children welcome? Is it a potluck? Save your guests from embarrassment by telling them all they need to know. Wait A Second - Check Out Our Other Pages Before You Go! Game of Thrones Ugly Christmas Sweater Party Fun!